Flood Damage vs Water Damage - What is the difference? First off, you should know that flood damage is not covered by your homeowners insurance (look into a separate flood insurance policy) where as water damage is typically covered under your homeowners insurance (verify with your insurance agent! 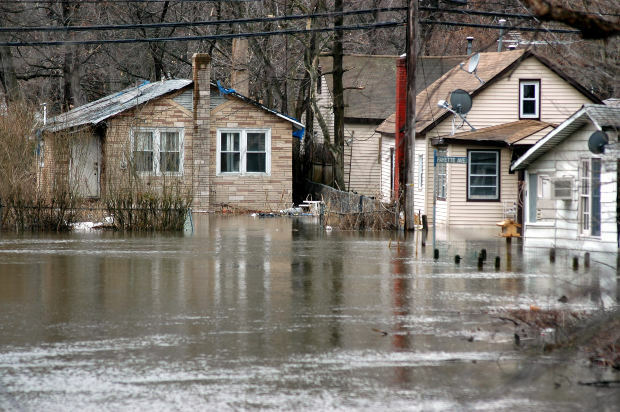 ), but what determines what is flood damage and what is water damage? Flood damage is basically surface water, meaning that if it rains and water seeps in your home's foundation or under doors because it's pooling up on the outside of the house, then it's considered flood damage. Flood damage could also be in the event a lake, river, ocean, etc. rises and flows into your home. Water backup is when your sink, toilet, bathtub, etc. backs up and overflows. You might be thinking but doesn't water damage cover that? Nope. It's a separate coverage under your homeowners policy that isn't automatically included on most policies. Be sure to ask your agent or insurance provider if this is covered on your policy. If it isn't I highly suggest at least seeing how much it would cost to add it. Water backup is a valuable coverage!